All our products are built with the goal of enabling you to better manage the condition of your equipment and save you money. Our solutions can be customised and tailored uniquely for you. Need something you don't see here? Contact us and we will help you get set up. An industry leader for over 15 years, we deliver everything a laboratory needs to facilitate the process of analysing, interpreting and issuing reports. Using Oil Commander, lab specialists world wide can advise you on the health of your machine’s components and provide corrective actions. Do you currently perform any routine inspections with Q&A on your equipment? Use our inspections software, it can tie in with all our other services. 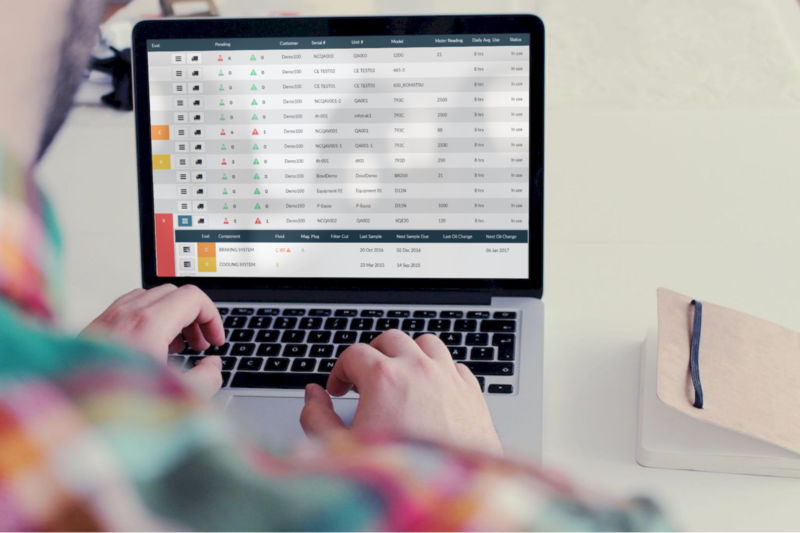 View and manage the condition of your fleets all in one place. All our products can tie in together, we can even integrate with your existing systems. Analyse and compare the performance of your GET parts. Forecast their remaining life. Determine how fast components are wearing out and under what conditions. Our products all run on the cloud so they're accessible anywhere, anytime, and from any device. Your data is confidential, we do not share it with anyone. Contact us now and request a demo today! We are privileged to have partnerships with industry experts working in every continent, and understand that no-one knows your business like you. Training is provided onsite where required and depending on staff availability. Where onsite training is requested, the customer will be required to pay the costs relating to travel. We can provide remote training sessions where we will remotely walk you through the system and answer any questions that you may have. If you are a new user the first 3 sessions are at no cost to you. We're ready and waiting to show you how InfoTrak can empower your business!